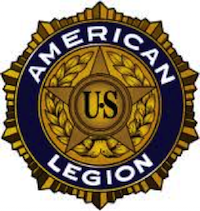 The American Legion Post 227 in Shoreline will hold their monthly meeting on Tuesday evening, October 2, 2018. A meet and greet starts at 6:30pm and the program starts at 7:00pm. Larry G. Cambronero, Commander of the Bataan Corregidor Survivor’s Association and Their Families, will discuss the military service of his father and his grandfather. Larry’s grandfather, Rufino “Robert” Cambronero, served in WWI and survived the Bataan Death March in WWII. Larry’s father, Isaac “Ike” Cambronero, also served in WWII and was a guerilla fighter during the liberation of Manila. There will be an opportunity for questions after the presentation. A brief intermission for refreshments after the talk will allow visitors to depart. Post 227 members are urged to stay for the post meeting that will follow the intermission. We look forward to seeing you at the meeting.